1803 - 1815 Occupied by Nepal. Middle Ages Baghat state founded. 1839 - 1842 Part of British India. 1849 - 1861 Part of British India. 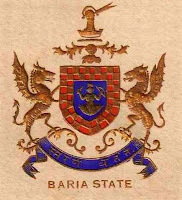 c.1602 Bamra state founded according to legend. 1740 Estate transformed into Banaras state. 15 Aug 1947 Accedes to India, renamed Varanasi. 1858 Annexed by British India. 1783 - 1790 Annexed by Mahisur (Mysore). 1790 Banganapalle liberated from Mahisur (Mysore), becomes a state. 1905 - 1905 Administered by British India. 1939 - 1947 Administered by British India. bf.1549 Baraundha Pathar Kachhar state founded. "The Chief of this State is of the same lineage as the Barris. 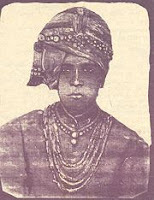 Raja of Chota Udaipur. "In 1803, when Daulat Rao Sindia's districts in Guzerat were seized by a British force, Raja Ganga Dass, of Barria, materially furthered the success- of the campaign, by the services he rendered Colonel Murray. "Barria is a wild, rugged little State, chiefly inhabited by Bhils, whose cultivation is of the rudest description. A coarse kind of millet, called kodra, is their principal crop. This grows without any care among the ashes of burnt timber in the clearings of the forest. It can only be eaten when well-soaked, and is then exceedingly indigestible. Only the stomach of a Bhil can get the better of it. When fermented it is much used1 by the wild tribes as a poison for tigers. 1861 - 1873 British India administration. 1753 Basoda state founded as a vassal state of Gwalior. c.750 AD Basohli state founded. 21 May 1874 Baudh estate becomes a state. 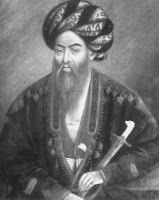 1717-1727: Murshid Quli Jafar Khan. "Mughal Empire started declining after the death of Emperor Aurangzeb. Under these circumstances Murshid Quli Khan became the first Nawab of Bengal. Though there was still the authority of the Mughals above him but he was nevertheless the first independent ruler of Bengal. The death of Aurangzeb was marked by a series of succession and in between 1707 to 1719 there were as many as eight Mughal rulers. This vulnerable situation was marked by the rise of three notable nobles namely Saadat Ali Khan of Oudh, Murshid Quli Khan the Nizam of Bengal and Qamar ud-din Khan of Deccan. Murshid Quli Khan of Bengal gradually united his force and position and in the year 1719 he renamed his capital city from Makhsusabad to Murshidabad after his name. This change of name was approved by the then Mughal emperor and thus Murshid Quli Khan became the Nawab of Bengal. The early life of Murshid Quli Khan is rooted in obscurity. Nothing is known in certain about his family or parenthood. Among the many versions of his early life the most reliable account is that he was born of a poor Brahmin in the Deccan before being sold to slavery. He was bought by one Haji Shafi Isfahani, a merchant from Persia who converted him to Islam and changed his name Muhammad Hadi. He joined the services of Haji Abdullah, the Diwan of Berar and gradually came under the royal service of Emperor Aurangzeb. Emperor Aurangzeb was in search of an efficient man for being the Diwan of Bengal when his choice fell on Murshid Quli Khan. In the year 1701 he was sent to Bengal as the Diwan. Murshid Quli Khan was an honest officer and he had already served as a Diwan of the province of Orissa. He was efficient in his work and was praised among the imperial officials. Murshid Quli Khan was held unparalleled in goodness and morality of purpose. His services during the war placed him in the good books of Aurangzeb. The title of Murshid Quli Khan was bestowed upon him by Emperor Aurangzeb. During and after the reign of Aurangzeb, Murshid Quli Khan`s rise was noteworthy. Even after ascending the throne as the Nawab of Bengal, Murshid Quli Khan never broke his ties with the Mughals and continued to send annual tribute to Delhi. Murshid Quli Khan was an able and efficient administrator. As an administrative decision, Medinipur was estranged from Orissa and annexed to the Province of Bengal. In matter of collecting revenues Murshid Quli Khan made no compromise. The Hindu Zamindars suffered under him and were terrorised by the revenue collectors who were often ruthless. Under his rule the Zamindars were debarred from collecting the Imperial revenue and their sources of income were also limited to profits of tax free lands given in consideration for services rendered. His administration in the matters of land reforms was also strict. He sent his men to every village and the cultivated and the waste lands were measured and were leashed back to the tenants plot by plot. Agricultural loans were meted out to the poorer section and he also and put forth effort for the augment in the produce of the lands. Thus Murshid Quli affected not only increase in revenue, but also increase in their `areas`. A part of the revenues was sent to the Imperial Treasury in Delhi. His administration was so dynamic and unbeaten that there was neither foreign invasion nor domestic disorder, and as a result the military expenses were nearly abolished. Murshid Quli Khan had a very powerful personality and his subjects sufficed to keep peace in the country. The Khan did not permit petty Zamindars admission to his presence. Murshid Quli Khan`s worthiness in administration of justice is amazing and notable. He contributed to a great deal in enhancing the material affluence of Bengal in terms of revenue. Murshid Quli Khan died on 30th June 1727. He did not have a direct heir and so his maternal grandson Sarfaraz Khan succeeded him." 1740-1756: Alivardi Khan. "Alivardi Khan came to power after defeating Sarfaraz Khan in the battle of Giria. He became the next Nawab of Bengal. He ruled from 1740 till 1756. Born on 10th May 1671, he was named Mirza Muhammad Ali, the son of Shah Quli Khan Mirza Muhammad Madani and the daughter of Nawab Aqil Khan Afshar. Alivardi Khan was the founder of the Afshar dynasty. He was Shia Muslim by religion. Alivardi Khan’s father Mirza Muhammad Madani served as an employee to Azam Shah the son of Mughal emperor Aurangzeb. After the death of Azam Shah, the family fell into poverty and Alivardi Khan came to Delhi and passed his days in extreme deficiency, often going without a meal. But when Shuja -ud-din was promoted as a Nawab, Alivardi’s prospect widened. It was Shuja- Ud- Din Muhammad Khan who bestowed him with the title of Alivardi. Alivardi Khan in return rendered faithful service to Shuja- Ud- Din and advised him on the kingdom’s administrational and financial matters. 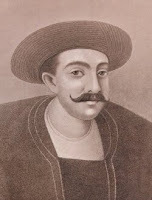 Alivardi was then chosen as the deputy Nazim of Bihar in 1733, and was later entitled Mahabat Jang, for his brilliant economic reforms and efficient management skills in the ruling of Bihar. Alivardi Khan always wanted to become the Nawab of Bengal. After the death of Shuja- Ud- Din Muhammad Khan Alivardi greatly aspired the Masnad of Bengal, which saw him gradually rise to power. In the year 1740 he defeated Sarfaraz Khan in the battle of Giria and became the Nawab of Bengal. He also got recognition from the Mughal Emperor Muhammad Shah and was endowed with several titles like Shuja-ul-mulk and Husam-ud-daula. Alivardi was an able administrator and successfully defended his territory from the enemies. However, the frequent external attacks in the shape of the Maratha invasions brought a major slow down in the region’s trade, agriculture and financial system. 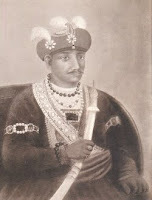 Under his dominion Bengal was twice attacked by the Nagpur kingdom by Raghoji Bhonsle in the year 1746 and 1750. He signed a peace treaty for war indemnity with the Marathas in 1951. Alivardi khan put up a brave fight against the Afghan invasions and this took a heavy toll on his health. Alivardi Khan nominated his grand son Siraj-ud-daula to be his heir. Alivardi died in the year 1756 and Siraj-ud-daula succeeded him as the next ruler." 1756-1757 : Siraj-ud-Daula "Siraj-Ud-Daulah was a Mughal ruler who also became the Nawab of Bengal in the 1756 AD. 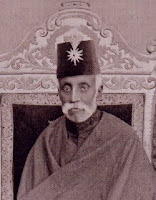 Siraj-Ud-Daulah succeeded his maternal grandfather Alivardi Khan. He was also known as Mirza Mohammad Sirajud Dawla, and was considered to be the last independent Nawab of Orissa, Bengal and Bihar. The start of the British East India Company was marked by the end of his rule over Bengal, and later, the Company got hold of all of south Asia. Siraj-Ud-Daulah was also known as ‘Sir Roger Dowlett’ by several British who were not able to utter his name properly in Hindustani. The father of Siraj was Zain ud din, who was the ruler of Bihar and his mother Amina Begum was Nawab Alivardi Khan’s youngest daughter. 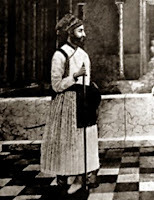 Since the Nawab had no son, Siraj-Ud-Daulah, as the Nawab’s grandson, got very close to him and therefore his childhood was regarded by most people as successor to Murshidabad’s throne. He was raised accordingly at the palace of the Nawab with all required training and education necessary for a future Nawab. 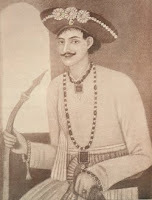 Young Siraj accompanied Alivardi in the year 1746, in his military endeavours against the Marathas. In the year 1752, Alivardi Khan officially announced his grandson Siraj-Ud-Daulah as the successor and Crown Prince to the throne, making not a single division in the royal court and the family. Mirza Mohammad Siraj succeeded Alivardi Khan as the new Nawab of Bengal in the month of April 1756 and he took the name of Siraj-Ud-Daulah. His nomination to the nawabship triggered the enmity and jealousy of Ghaseti Begum, who was the eldest sister of the mother of Siraj, Mir Jafar Ali Khan, Raja Rajballabh and Shawkat Jang (the cousin of Siraj). Ghaseti Begam had huge wealth, and that was the source of her strength and influence. Thus Siraj seized her wealth and kept her in confinement. He offered top posts to his favorites. Mir Mardan became the Bakshi (the paymaster of the army) replacing Mir Jafar. Mohanlal was promoted to the rank of peshkar of his Dewan Khana and he had a vital influence in the administration. Lastly, Siraj suppressed Shaukat Jang, who was the governor of Purnia and was also killed in a clash. The Battle of Plassey or which is famously known as the battle of Palashi is widely regarded as the turning point in the history of India, which helped open the doors to the British to have their hold on the country. After the conquest of Kolkata (Calcutta) by Siraj-Ud-Daulah, the British retaliated by sending fresh set of troops from Chennai (Madras) to regain control of the fort and take revenge of the attack. A withdrawing Siraj-Ud-Daulah confronted the British at the battle of Plassey, but deceived by a conspiracy of Mir Jafar, Umi Chand, Jagat Seth, Krishna Chandra, etc, the battle was lost to the British and Siraj escaped to Murshidabad and then he went to Patna with the help of a boat, but was finally arrested by the soldiers of Mir Jafar. He was executed on the 2nd of July, 1757 by Mohammad Ali Beg with the order of Mir Jafar. Siraj-Ud-Daulah was glorified like a freedom fighter in Bangladesh, Pakistan and modern India because of his strong opposition to the British annexation. In his teens, Siraj was a reckless fellow, which dragged the notice of his grandfather. But a promise made by him to his great grandfather on his death bed, he abandoned the drinking and gambling habits completely after he became the Nawab. Siraj-Ud-Daulah was a furious fighter against the pirates of Southern Bengal and the Marathas during the 1740s, but he was fully routed by the huge British soldiers and the treachery of his near and dear ones." 1760-1763: Mir Qasim. "Mir Qasim was the Nawab of Bengal from the year 1760 till 1764. The British East India Company made him the Bengal Nawab by replacing Mir Jafar, the father-in-law of Mir Qasim, who was also installed by the British in reply to his treachery in the Battle of Palashi. 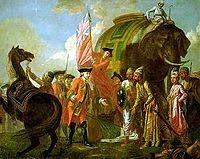 Since Mir Jafar engaged himself with the Dutch East India Company to assert independence, the British finally defeating Mir Jafar and the Dutch forces at Chinsura and made Mir Qasim the new Nawab of Bengal. After becoming the Nawab of Bengal, Mir Qasim was subject to pay a huge outstanding debt of the former Nawab, Mir Jafar who was also made the Nawab of Bengal by the British as a result of his treachery in the Battle of Plassey. In the pursuit of pleasing the British, Mir Qasim robbed all, seized lands, reduced the purse of Mir Jafar and depleted the treasury. He also transferred the districts of Midnapur, Burdwan and Chittagong to the British East India Company. He thought that since he had given the Company so much, he should therefore be offered the complete authority to rule West Bengal. Thus, he undertook several strategic measures in administration in order to be equipped with a regimented force and ample of funds. In the process he changed his capital from Murshidabad to Munger and also reformed the land revenue structure to raise the revenue. The small crusade of Mir Qasim against the British was significant and was regarded as the direct fight against and outsider by a native Bengali. Dissimilar to Siraj-ud-Daulah, Mir Qasim was a very popular and effective ruler. The defeat of Mir Qasim in the hands of the British in the Battle of Buxar made the British as the conquerors of. Defeated by the English, Qasim fled to Oudh. He had a sharp diplomatic sense and was able to get the support of the wandering emperor Shah Alam II and Shuja-Ud-Dulla of Oudh. But the combined forces were defeated by the British in the Battle of Buxar. After that, Mir Qasim became underground until his death in Delhi probably in the year 1777." 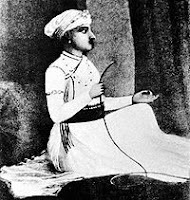 1765-1766: Najimuddin Ali Khan. "Najimuddin Ali Khan was the Nawab of Bengal, Orissa and Bihar from the year 1765 to 1766. 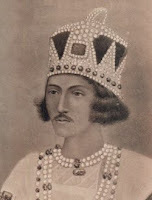 He was formally called as Sujah-ul-Mulk Najimuddaula Nawab Nazim Najimuddin Ali Khan Bahadur Mahabat Jang. He was Mir Jafar`s son with his third wife Munui Begum, and was Bengal`s ninth Nawab and also the second from dynasty of the Najafi`s. 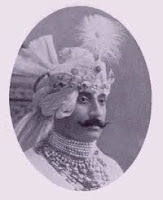 Najimuddin Ali Khan, like Mir Jafar and Mir Qasim, was a puppet Nawab of Bengal in the hands of the British. He was made the Bengal Nawab following the death of his father Mir Jafar at the tender age of eighteen years. He honored the throne on the 3rd of March 1765. In the year 1765, after the grand victory in the Battle of Buxar, the British East India Company formally gained the Diwani of Bihar, Bengal and Orissa from Shah Alam II. 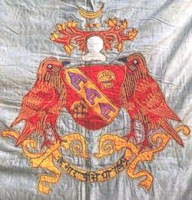 The Nawab officially conferred this Diwani to the British on the 30th of September, 1765. Then the British proceeded to cease the Nawabi of all effective military and administrative powers, making the Nawab a greater puppet than before. Najimuddin Ali Khan died soon, on the 8th of May, 1766, he got infected by a fever caught at a formal party which was given in Murshidabad fort honoring Robert Clive. Najimuddin was buried at the cemetery of Jaffraganj and was succeeded to the throne of Nawab by his younger brother Najabut Ali Khan." 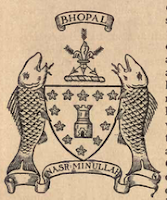 1807: "...Mohan Singh received a sannad from the British Government, confirming the territory which he held under the Bundelas and Ali Bahadur..."
1483 Bhadrawa founded possibly as a jagir, later becoming a state. Jun 1821 Annexed to Chamba. 1846 Annexed to Jammu and Kashmir. 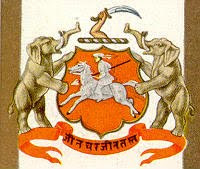 1752 Bharatpur founded and becomes name of state. 1240 Predecessor state of Sejakpur founded. 1723 Bhavnagar founded and becomes name of state. "...It has an estimated area of about 1491 square miles, a population in 1881 of 145,876 or ninety-eight to the square mile, and in 1883 a gross revenue of £52,318 (Rs. 5,23,186)...."
"In 1697 Rajaram, the son of Shivaji, appointed Shankraji Narayan Pant Sachiv for his able services. He was given an estate or jagir and other vatans or rent-free lands. In. 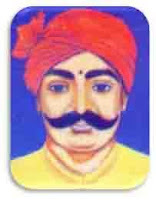 1707, Shankraji died at Ambevadi and was succeeded by his son Naro. On his death in March 1737, Naro was succeeded by his nephew Chimnaji who had three sons Sadashivrav, Anandrav, and Raghunathrav. In 1757, on the death of Chinmaji, his eldest son Sadashivrav became Pant Sachiv. In 1787, on his death Sadashivrav was succeeded by his youngest brother Raghunathrav. On Raghunathrav's death in 1791, his son Shankarrav became Pant Sachiv. He had no male issue and adopted Chimnaji who succeeded him in 1798. Till their downfall in 1818, Chimnaji continued in the service of the Peshwas. On his death in 1827, Chimnaji was succeeded by his adopted son Raghunathrav; for this adoption a nazarana or present of £4000 (Rs. 40,000) was paid to the Raja of Satara. In 1836 Raghunathrav, being without legitimate male issue, adopted Chimnaji who succeeded him in 1839. On the 12th of February 1871, on his death Chimnaji was succeeded by his son Shankarrav, the present chief. During the chief's minority a karbhari or manager was appointed by the British Government to look after his affairs. In 1874 at the age of twenty-one, Shankarrav assumed the charge of his state. The Pant Sachiv ranks as first class sardar. He is a Brahman by caste and his head-quarters are at Bhor. He pays a yearly tribute of £523 10s. (Rs. 5235) to the British Government, nominally on account of pilkhana or elephant stables." c.880 Kahlur state (later called Bilaspur) founded. Flags, Coat of Arms, etc. Ghosla. The Modern History of the Indian Chiefs, Rajas, Zamindars, etc. Part 1.